Single Review: Michael Sarver "Ferris Wheel"
Sulphur, Louisiana native Michael Sarver has a deep, rich country voice that will win him fans both in and out of country music. However, even a singer with vocal talent needs the perfect song, and "Ferris Wheel" is a winner. As a Top 10 contestant on the eighth season of Americana Idol, Michael Sarver has been exposed to millions of music fans. 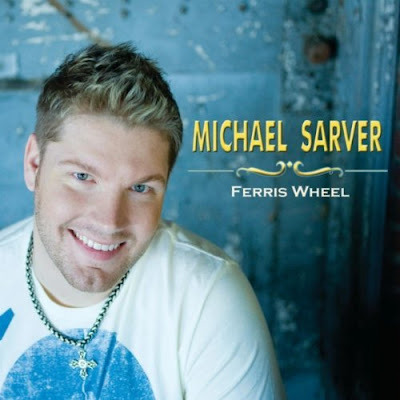 With "Ferris Wheel," Sarver channels his inner Josh Gracin to create a memorable country song that radio stations will eat up like cotton candy at the county fair. The upbeat cover art showcases an artist who is comfortable in his own skin, and Sarver's new, contemporary look should help encourage younger country fans to jump on the Sarver bandwagon. Likewise, the silver cross around his neck shows Sarver is unafraid to hide his deep religious conviction.